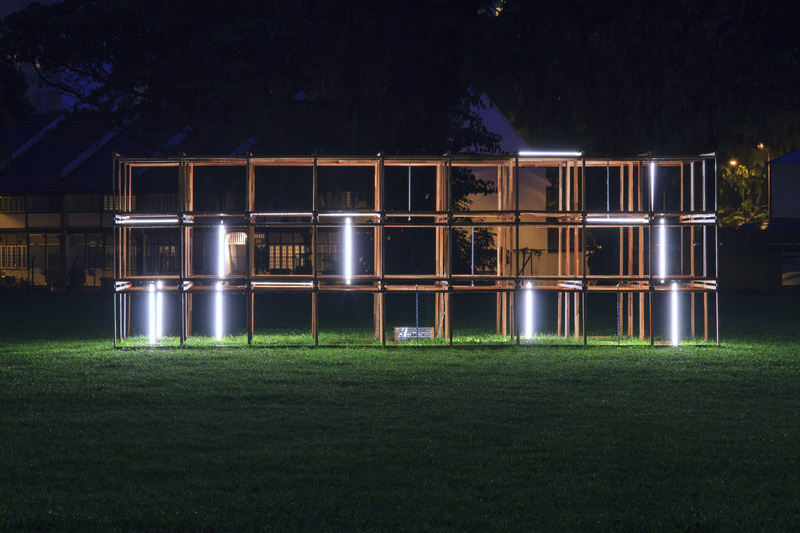 11 December 2014, 7pm – 10 p.m.
‘undo’ is a three-hour long durational performance installation featuring light, sound, technology and words. Set among a myriad of devices and interventions, including computers and light tubes, ‘undo’ offers glimpse into chaos and order through the slow construction and then deconstruction of the multi-media environment. The performance also seeks to investigate the relationship between meaning, context and subject. Collaborating for the first time, Andreas Schlegel and Bani Haykal will be presenting a groundbreaking creation of work where spoken words affect an array of light tubes, and vice versa, where the rhythm and feedback of the lights create a response to the performers. This creates a constant dialogue between the digital and the analogue (human). Entry is complimentary and is on a first come first served basis. ArtScience Museum will be opened until 10pm for every ArtScience Late event.